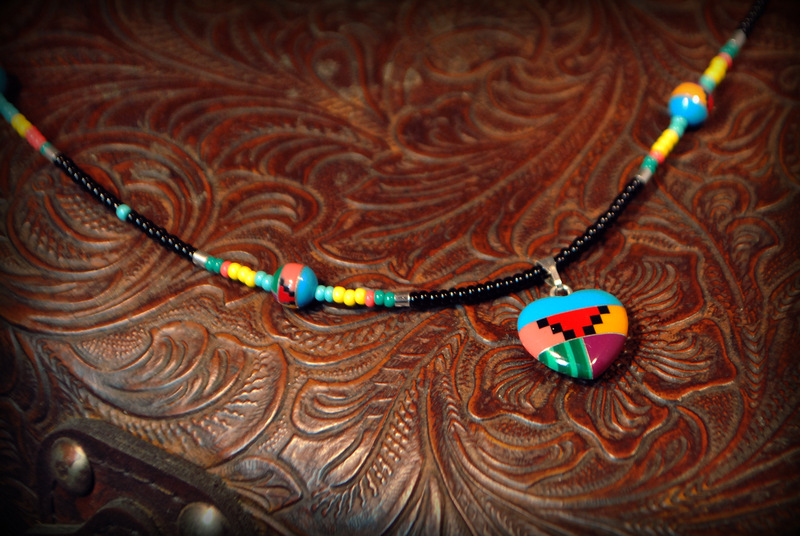 I love our Southwest Inlay beads and pendants. 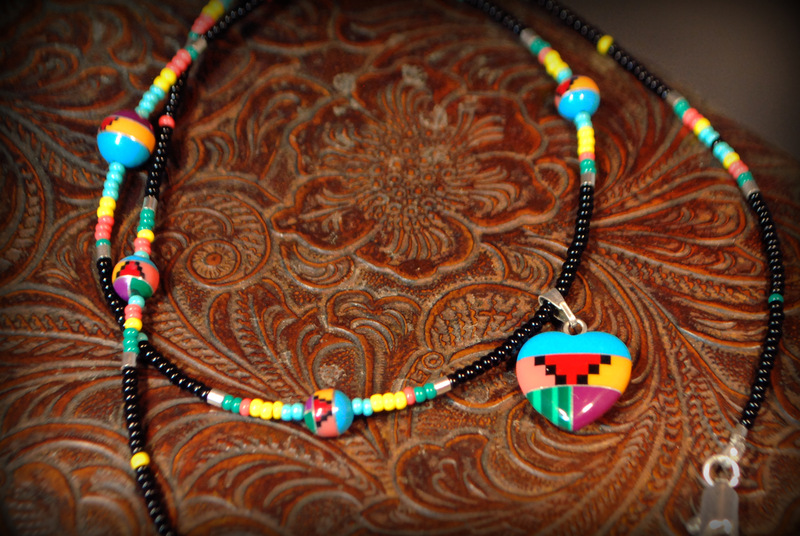 I wanted to create an easy necklace and earring set using several colors of seed beads. 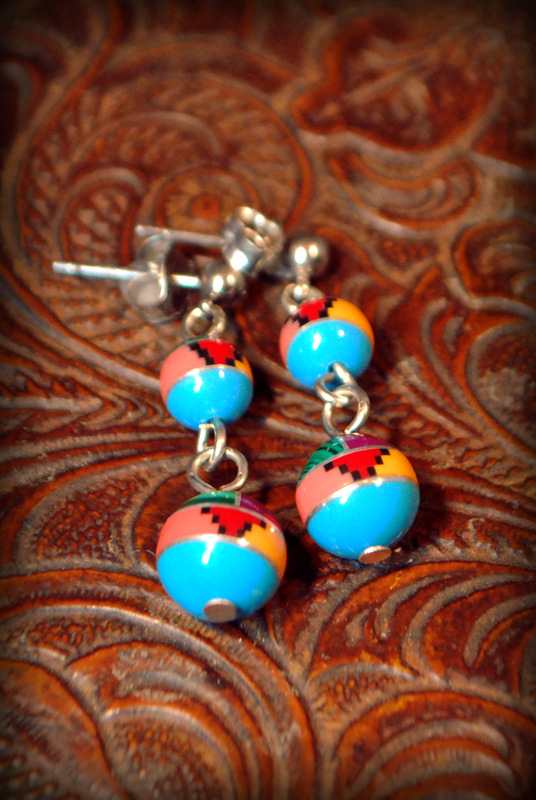 I even used crimp tubes as spacer beads!